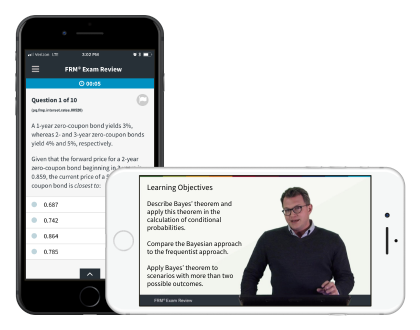 Turn your down-time into productive time with our all-new companion mobile app, included FREE with your Wiley FRM Exam Review course. View video lectures, drill multiple-choice questions, and flag questions for review. Your progress will automatically sync with the full course, making it easier than ever to study for the FRM exam. The companion FRM mobile app is available to Wiley FRM Exam Review course users and active trial users. Download in the app store, install on your mobile phone and enter your course login credentials to get started. How do I access the Wiley FRM Exam Review? Download from the iTunes or Google Play Store, install on your mobile device and enter your Wiley FRM Exam Review course login credentials to get started. 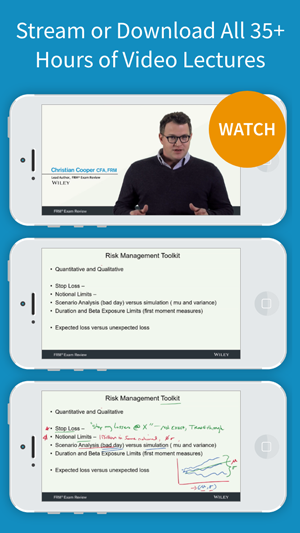 The mobile app is available for free for 48 hours when you register for a complimentary trial of the Wiley FRM Exam Review course. When you purchase the Wiley FRM Exam Review course, the app is included with your course and does not require a separate purchase or subscription. It may not be purchased separately. The app is included with your Wiley FRM Exam Review course purchase and does not require a separate purchase or subscription. It may not be purchased separately. 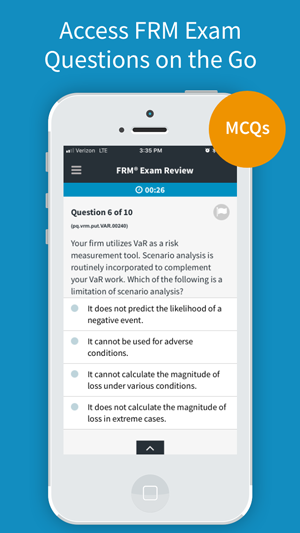 The mobile app is also available for free for 48 hours when you register for a complimentary trial of the Wiley FRM Exam Review course. When connected to the Internet, your progress (scores) will automatically sync across all devices with the full Wiley FRM Exam Review online course. No action is required. Yes. All questions work the same offline as they do online. Your progress (scores) will be stored offline and synced with your online course the next time you connect to the Internet. Videos can be downloaded when online and viewed later when offline. Is the study material in the mobile app the same as the Wiley FRM Exam Review course? Yes. All study material in the mobile app comes directly from the Wiley FRM Exam Review online course. 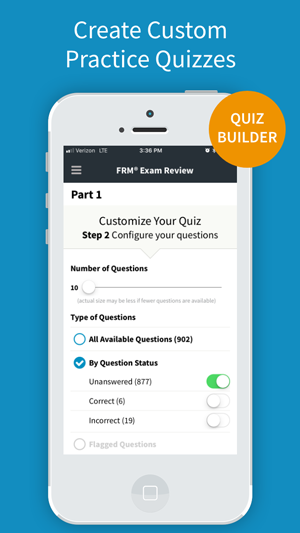 The Wiley FRM Exam Review Mobile App is included with your Wiley FRM Exam Review course purchase and does not require a separate purchase or subscription. It may not be purchased separately.